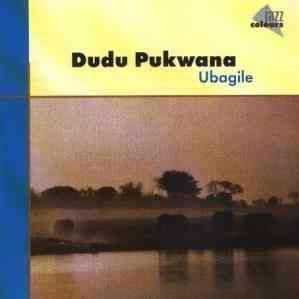 If you are not familiar with Dudu Pukwana, something of his background should indicate his importance in British jazz. He was one of the musicians who came together in the early 1960s South Africa in the multi-ethnic Blue Notes. You can imagine what the official response to such a group would be under the Apartheid regime of that time. The musicians relocated to Europe, and made their base in London. The Blue Notes fused multiple South African forms with African American jazz, and in Europe they engaged with the London, and wider European free movements. 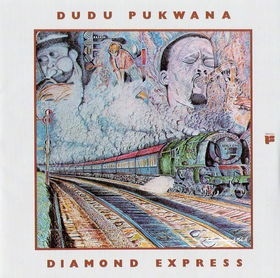 Pukwana’s music tended to emphasise the rhythmic patterns of both South African popular music, and African American funk with a acerbic emotionally charged alto playing style. His classic In the Townships is one of my all-time favourite records. If you are familiar with Dudu Pukwana, but not with this recording a real treat lays in wait for you. For me, it is one of the most interesting record in the Pukwana discography. The first four tracks are by a group of Pukwana’s SA collaborators. They feature great rumbling rhythm section the drives the music. ‘Madodana’ is my favourite, featuring a percussion bridge built around Louis Moholo’s standard kit, and all the band on assorted clatter and shake. Frank Robert’s Fender Rhodes gives it a funky feel, and Pukwana and Feza are great if a little in the sidelines. ‘Ubagile’ is typical of Pukwana’s township jive, although his playing is a little more laid back, and Robert’s keyboards are mixed up higher than the alto. Sometimes Pukwana sounds like he’s fighting to be heard. ‘Tete and Barbs in my Mind’ is completely different. This is obviously due to the addition of Elton Dean on saxello and particularly Keith Tippett on piano. Pukwana is now far more strident, and higher in the mix, and matches Tippett’s discordant but very grand playing and the bands unison rich SA melodies. Mongezi died soon after this recording; a great loss to a great community of jazz players. I’m not sure how this came to be originally issued on Arista’s Freedom label, but copies of the original LP are quite hard to find. It was rereleased on by the German DA music label Jazz Colours as Ubagile. Now seemingly OOP, I think a few more people should know this great music.